Post subject: INTERNET ON PEARPC?!?!? HOW THE HECK DO I PUT INTERNET TAP VIRTUAL ADAPTER!?!?! You will understand if you get to this page and translate it with Google Chrome. Post subject: Re: INTERNET ON PEARPC?!?!? Go until where you select components in the installer. Deselect everything EXCEPT "TAP Win32 Virtual Ethernet Adapter"
Open Control Panel, and navigate to the Network Connections folder. Note the name of the Tap-Adapter. It should be called something like "Local Area Connection 2", but you can name it whatever you want. Right-click your real LAN connection, and open its Properties. Select the "Advanced" tab. Tick the box that says "Allow other network users to connect through this computer's Internet connection". If there is a dropdown box, select "Local Area Connection 2" or whatever you called the Tap adapter. Thank you so much "SistemaRayoXP"! And this little comentary goes to anyone who is interested. 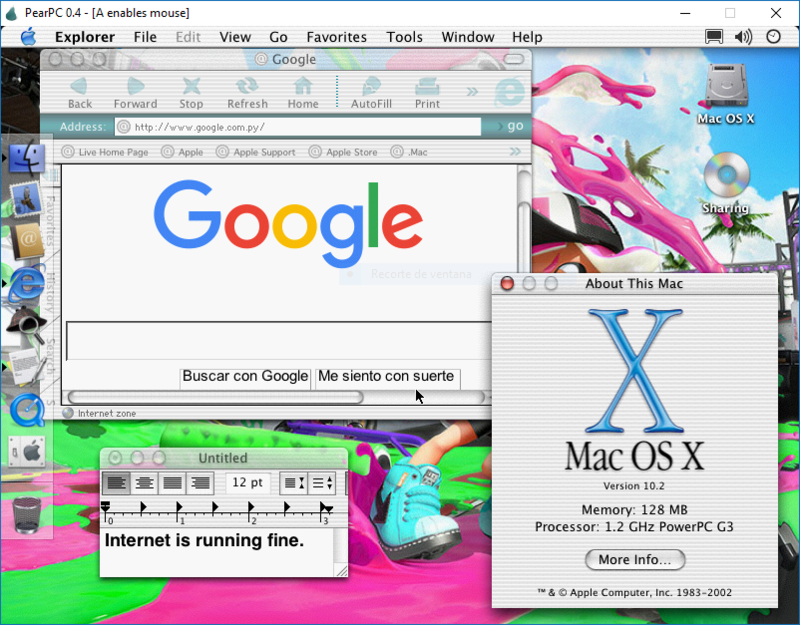 Yes Internet does work on PearPC. But i think i will just go offline because PearPC is pretty slow with Internet. And for me it goes way faster without Internet in PearPC. But yeah thanks for the help "SistemaRayoXP". Im gonna experiment with Internet in PearPC when its stable enough.